A synergistic formulation of Vitamin B12 in the methylcobalamin form and Folic Acid. 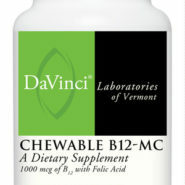 The chewable form of B12 provides for improved absorption in a pleasant-tasting cherry flavor. Purchase this product now and earn 1,990 Reward Points! 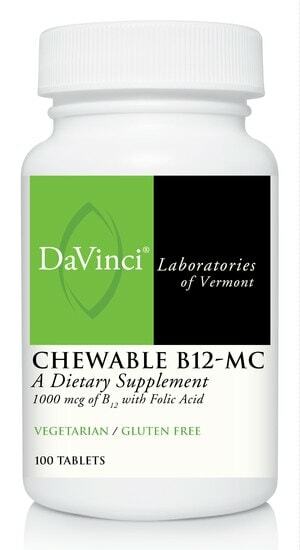 Suggested Use: As a dietary supplement, chew 1 tablet, daily or as directed by your healthcare practitioner. Warning: If pregnant or nursing, consult your healthcare practitioner before taking this product. KEEP OUT OF REACH OF CHILDREN. Store in a cool, dry place. Color of this product may vary due to color variations of the natural ingredients.